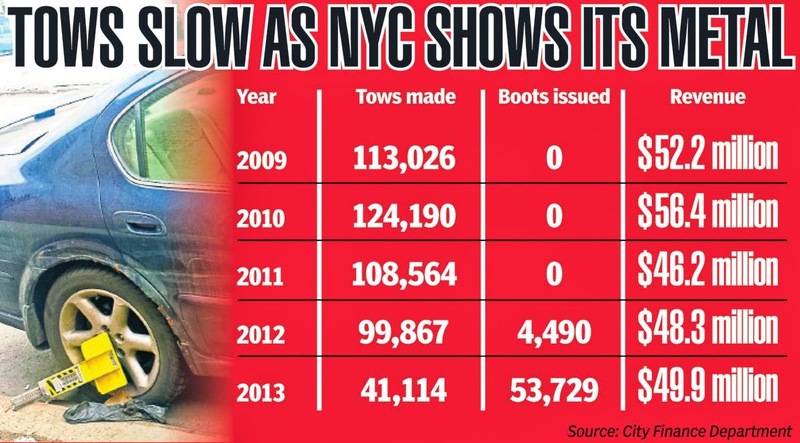 According to the Daily News, the New York City Department of Finance booted 53,729 vehicles last year, as the boot program was expanded to include all five boroughs. Boots are ordered for vehicles that have been verified by city sheriffs as having over $350 in judgment parking tickets. Revenue from the program brought the city $49.9 million in 2013, a slight increase from the year before.